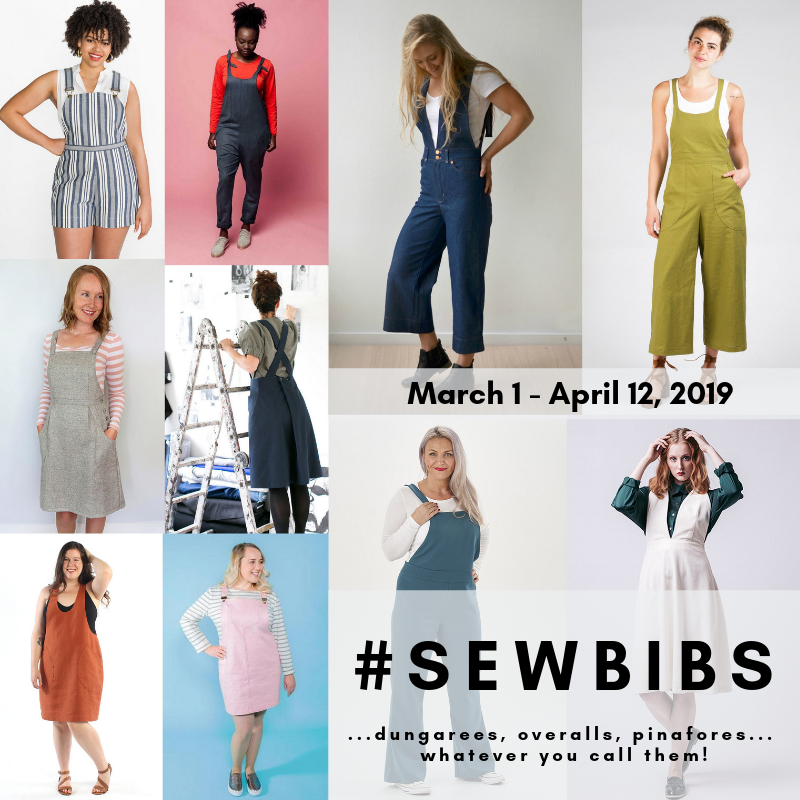 I sewed all of the patterns in the first Seamly pattern collection that was released in Summer 2016. I loved all three of those patterns and I’ve since made a second wrapped cardigan. I was excited to be able to sew two of the patterns in this collection. They looked like garments that I would wear a lot and would fit into my handmade wardrobe nicely. I tested the No Sweat Pants and the Moto Sweatshirt. I sewed both pieces from the Admiral Blue Scuba knit that was sold in the Indiesew shop. (It is sold out in the blue but still available in the red.) I hadn’t ever worked with scuba before. This particular fabric is thick and soft and turned out to be a great match for the Moto Sweatshirt pattern. Right away I was smitten with the Moto jacket. I love the assymetrical collar/zipper and the zippered welt pockets. I made a size M graded to an XL in the sweatshirt. I did a 1/2″ forward shoulder adjustment and a 5/8″ full biceps adjustment. I decided to slim down the sleeves a bit from forearm to wrist and I also made the sleeve cuffs narrower than the pattern was drafted. When I first attempted the welt pockets I was using scuba for all of the layers and it was much too thick to get a good result. Allie changed the pattern to recommend a light weight jersey for the pocket bags. My first welts were such a tremendous mess that I recut my front pieces and took a chance on using a woven fabric for the inner bag that forms the opening for the zipper. My welts were waaaaay better the second time around– the quilting cotton I used really helped stabilize the pockets and made topstitching around the zipper much easier. I used scuba for the outer pocket so that all of the fabric visible on the inside of the jacket is the same. Topstitching the front zipper through two layers of scuba worried me after my first attempts at the welt pockets turned out to be a mess. I decided to use wider interfacing than the pattern calls for to stabilize the front pieces. The pattern suggests 1/2″ interfacing (or wonder tape, which I’ve never used before. I really need to get some one of these days!) but I used 1″ strips. The interfacing is hidden by the front facings so making it wider isn’t a problem. The topstitching turned out well with the wider interfacing and I’m curious if using wonder tape would have made it even easier. I would say breaking all those needles was worth it, though, because I really love this sweatshirt. The giant collar is such a cool feature! I like wearing it open and zipped all the way up. I love the look of the metal zippers on this sweatshirt. The collar sits far enough away from my neck when it’s zipped up that I can’t feel the zipper at all. I definitely had a giant case of sewing pride when I finished this sweatshirt! It’s such a cool design and looks really professional. I have been wearing it quite a bit and I know if will get even more wear when Spring finally rolls around. It’s the perfect thing to throw on with joggers or jeans and a t-shirt. Just as comfortable as a regular sweatshirt but with a lot more style! I also sewed the No Sweat Pants pattern, which is a cross between leggings and joggers. If you’ve seen the photos of these pants on the Indiesew site you’ll notice that mine have been hacked. I took a chance on using the scuba for the pants but it didn’t have the right drape to get the cute pooling at the ankles. I really liked how the pants fit otherwise so I chopped off the cuffs and cropped the pants. I took in the inner and outer side seams to give the bottom leg a more tapered fit. I must have basted those seams about 5 or 6 times each until I got the fit I wanted. I’m so glad I was able to modify the pants. They are super comfortable and I’ve been wearing these a lot, too. I’m still trying to stash bust but eventually I want to get some french terry and make these with the longer length and the cuffs. These are a super quick sew and a different silhouette than the other lounge pants/athleisure patterns I have in my pattern library. I also have some black ponte that I might use to make another hacked version with the cropped, slimmed down leg. I love the zip on this! That jacket is AMAZING. I need another pattern like a hole in my head but I think this one will definitely be bought and sewn soon. The color and the metal zipper are perfect together and the fit is spot on! I know you’ll get a ton of wear out of it.